BAYADA Assistive Care services in Erie, PA provide non-medical assistance with activities of daily living for adults and seniors when a health issue has made it difficult to manage everyday tasks on their own. These services are provided primarily by home health aides on an ongoing shift (two-hour or more) basis, and are available 24 hours a day, 7 days a week. This care is also sometimes referred to as personal care or aide services. 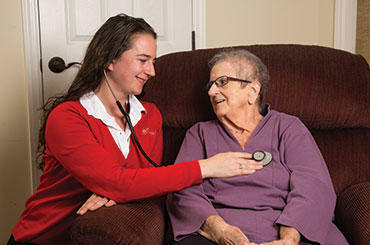 Our care professionals in Erie, PA excel at what they do, and their assistance can help adults and seniors continue living independently at home—where they want to be. Our assistive care specialists include BAYADA Home Health Aides, Certified Nursing Assistants, Homemakers, and Companions. 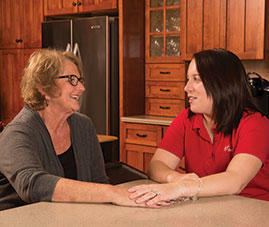 Whether occasional services or live-in care is needed, we match the client’s needs with the right BAYADA professional.